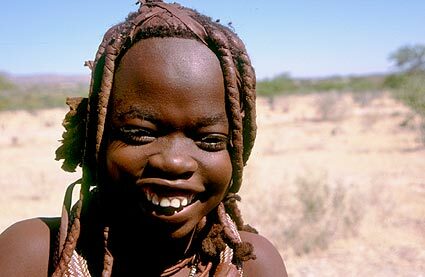 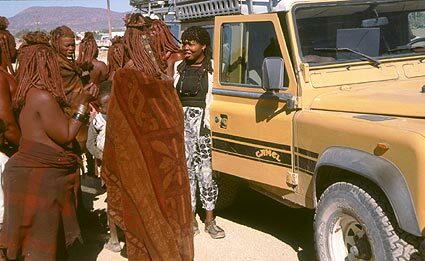 At Opuwo we met our first Himba's. 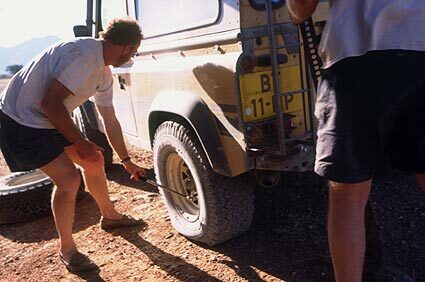 On the road from Opuwo to Epupa Falls we had our first flat tyre. 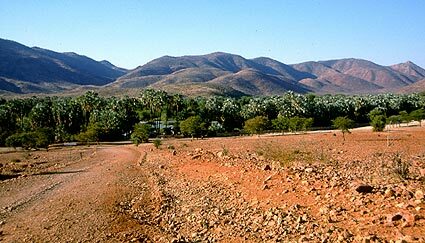 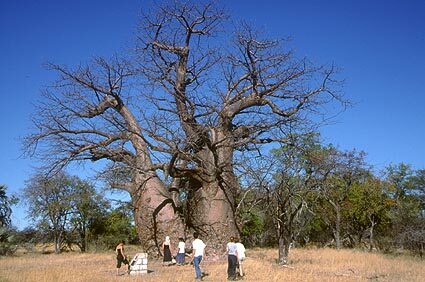 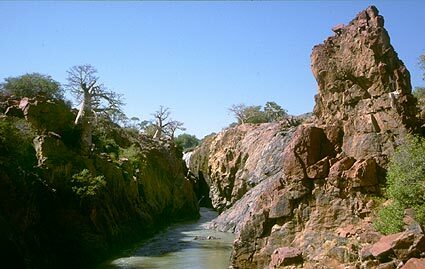 On the other side of the Cunene river is Angola.